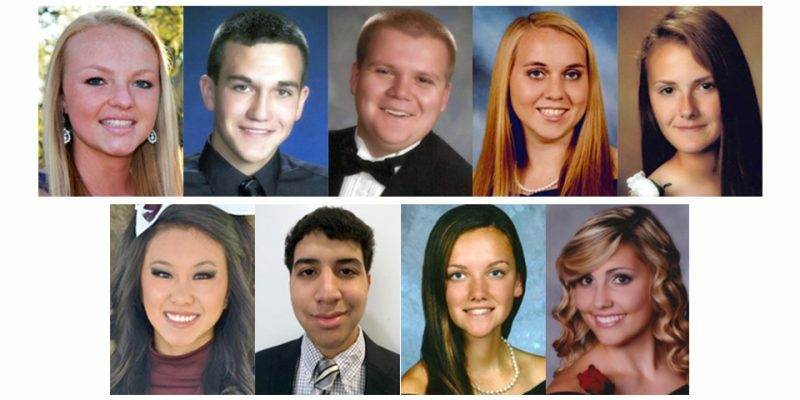 This year, the members of Local 825 awarded six $10,000 scholarships and three $1,500 grants to high school seniors going on to college. The students were honored with members of their families at the Sheraton Edison on June 3. The winners and their family members were greeted by Business Manager Greg Lalevee, President John Wood, Vice President John Nacion, Recording Secretary Bob Davis, Financial Secretary Joe Logan and Treasurer Jim McGowan. Gina Simone of Morris Plains, NJ, who will pursue a course of study in Fashion Merchandising at the Fashion Institute of Technology. She is the daughter of Joseph Simone. Rachel Wigmore of Burlington Township, NJ, who will attend the Gettysburg College and is planning to major in Biochemistry and Molecular Biology. She is the daughter of Ronald Wigmore. Logan Campbell of Fairless Hill, PA, who will pursue a course of study in Marine Biology at the Eckerd College. She is the daughter of James Campbell IV. Christopher King of Absecon, NJ, who will study at the Syracuse University, majoring in Exercise Science. He is the son of Joseph King, Sr.
Bridget Ford of Spring Lake Heights, in the category of Outstanding Athlete. She volunteered at the local basketball campus to work as a counselor and coordinated a Kids Helping Kids program that donated sport equipment to elementary school severely affected by Superstorm Sandy. Bridget plans to attend Towson University to major in premedical. She is the daughter of the late Francis Ford. Rami Kammourh of Hasbrouck Heights, in the category of Outstanding Service, for contributing more than 250 hours of community service at Holy Name Medical Center in Teaneck. He plans to attend Stevens Institute of Technology and study Biomedical Engineering. He is the son of Tarek Kammourh. Theresa Rumsey of Highland Lakes, in category of Outstanding and Appreciating Unionism and the Labor Movement. Theresa volunteered at Highland Lakes Country Club and was a leader at Our Lady of Fatima Antioch. She plans to attend the University of North Carolina. She is the daughter of Chris Rumsey. Two letters of recommendation from teachers, employers or civic leaders that describe the applicant’s contributions to his/her school and community. A short essay that discusses the applicant’s aspirations and how union values have influenced his/her life choices. This Scholarship Program is administered by a team of educators from Rutgers University, headed by Dr. Tracy Chang. Dr. Chang congratulated the winners and their families at the dinner. She thanked the members of her team from Rutgers and complimented all the entrants for giving their best efforts. These funds are open to the children of Local 825 members (among others) and the application deadline is June 30. Complete details are in theapplication packet.